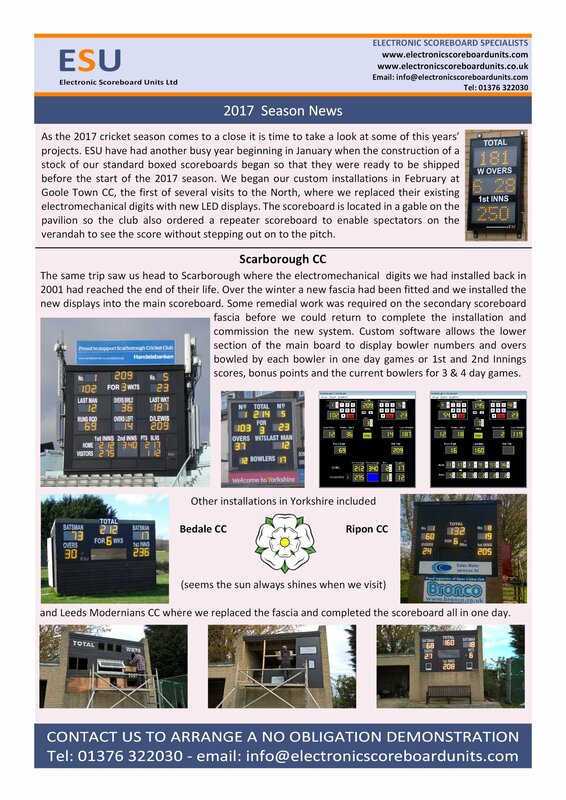 Here is a selection of our most recent newsletters with details of some of our scoreboard projects. Archived newsletters are available in PDF. Contact us to receive the next edition by email.